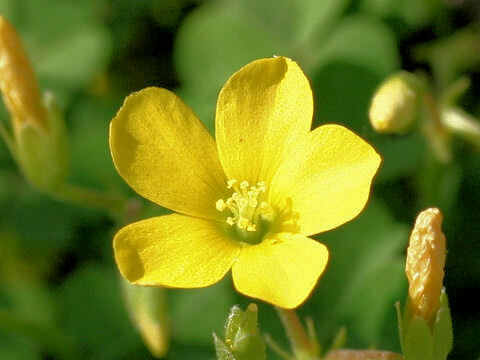 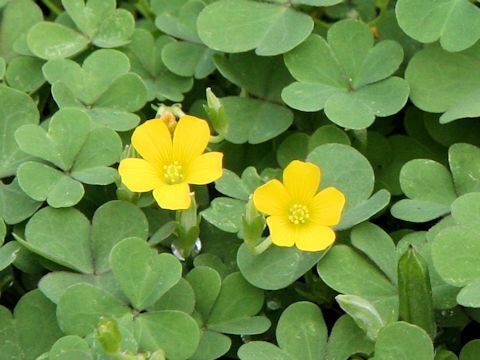 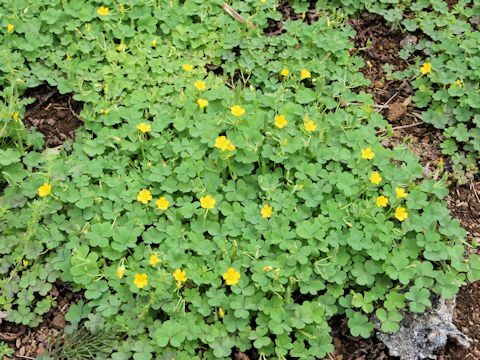 Yellow sorrel belongs to Oxalidaceae (the Wood sorrel family). 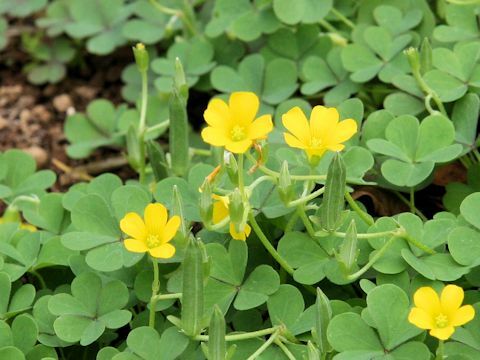 It is a perennial herb that is distributed worldwidely, from temperate areas to tropical areas. 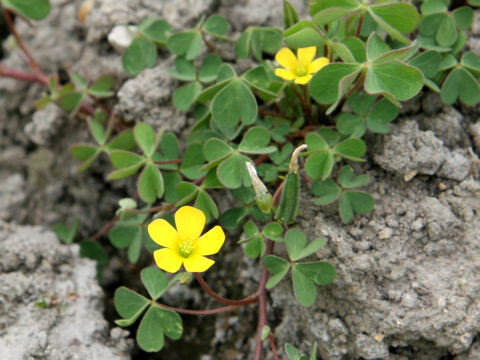 It can be found usually in dry fields or roadsides. 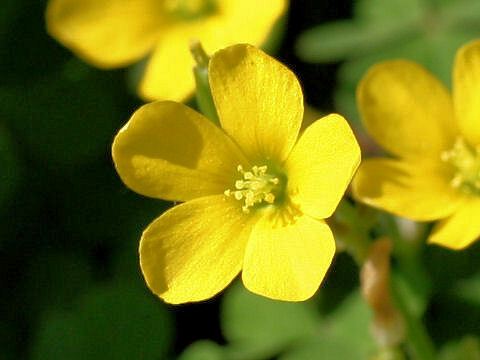 The stem is creeping on the ground and blooms yellow flowers from May to September. 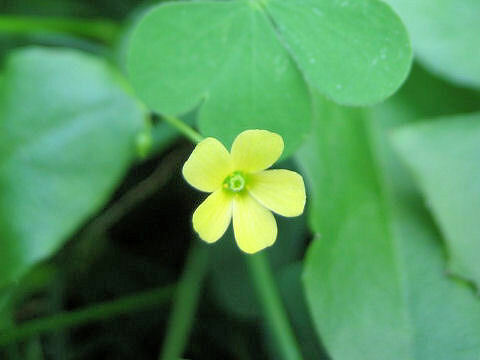 The stem and leaves contain oxalic acid, and have acid taste.